Rodan and Fields is one special beauty products for anti aging skin. The product was created by the world renowned dermatologist (Dr. Katie Rodan and Dr. Kathy). Is a premium cosmetic products at affordable prices. Rodan and Fields apply franchise marketing system. 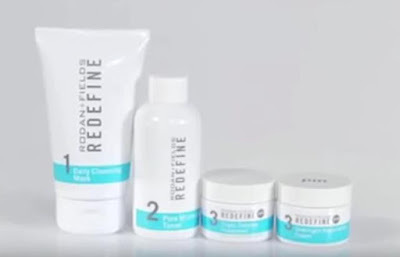 The following catalog and price list of REDEFINE R + F.
This page is displaying information price list of Rodan and Fields only, the list we provide confirm from R + F official website. If you want to get more detailed information please visit their website. We only display information related to product prices. R + F has several categories of beauty products, namely; REDEFINE, REVERSE, UNBLEMISH, SOOTHE, ENHANCEMENTS, ESSENTIALS, and MEN'S. Some of their products are sold in USA only.